This impressive George Washington Smith designed home has the distinction of being the last home completed by Smith before the end of his all too short career. Combining some of his best architectural elements, this Spanish style home also incorporates elements of the Monterey style, to bring an almost contemporary flow, feel and spaciousness to the floor plan. Nearly two acres of gorgeous gardens surround this stately home and include a pool, spa, one-bedroom guest house, a staff cottage and paddle tennis court. The two-story home features a traditional center entry hall with an elevator, a magnificent, spacious, yet cozy living room, handsome library and media room, formal dining room, and country kitchen as well as a large master bedroom suite and four additional bedrooms. The entire property is walled and gated for complete privacy and is a short distance from both the upper and lower Montecito villages. 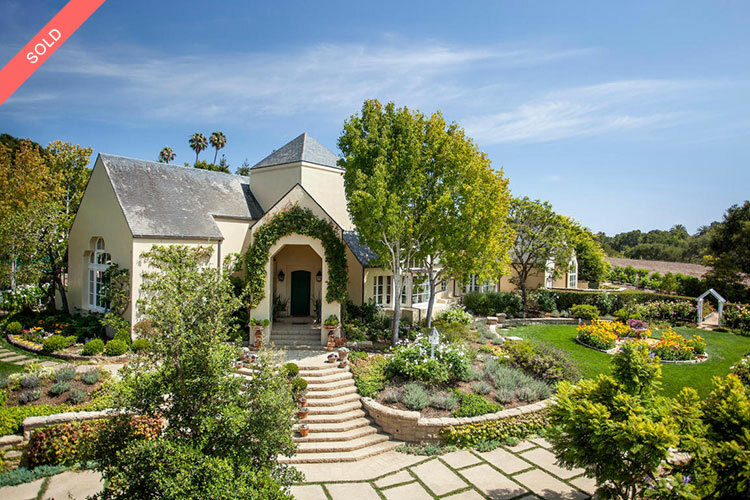 A long entrance drive leads you to this gracious French Manor Estate. The private, lush park-like 1.34 acres offer enchanting gardens, private patios with outdoor fireplace and cascading fountains, tennis court and majestic mountain views. The rich interior features a beautiful living room with hardwood floors and vaulted ceilings, light and bright gourmet kitchen with breakfast room/family room, inviting library, spacious master suite retreat with fireplace and lavish Waterworks bath and two additional bedroom suites. 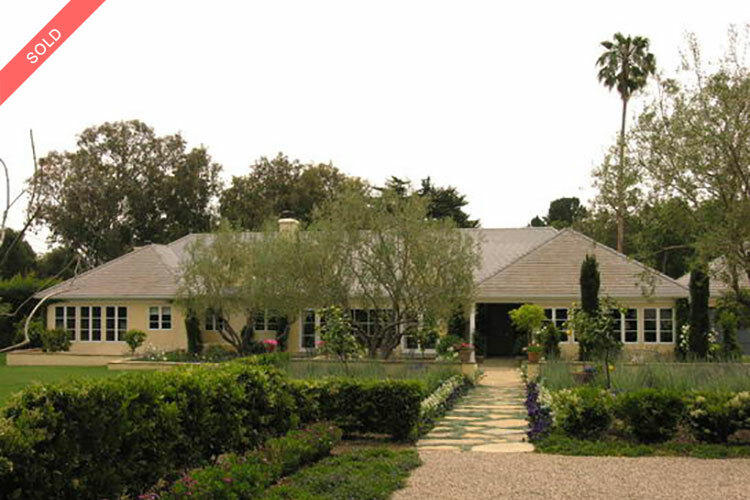 An oversized three-car garage, security system and premier Montecito location, make this special property a rare find. Beautiful estate on 4.46+/- acres behind gated drive.Indoor/outdoor living with outdoor kitchen by pool/spa. Living room with high beamed ceilings & fireplace. Gourmet kitchen opens to family room & breakfast nook. The master suite with fireplace, grand master bath, two walk-in closets & dressing room.en-suite bedroom, two additional bedrooms(w/shared bath) off of playroom. 5th BR suite in separate wing. Equestrian facilities boasting 3 stall barn w/tack room, half bath, laundry & storage, grooming/wash area, a riding ring & 3 additional paddocks. Complete privacy w/the space & amenities to entertain.